We love to feel the beat of the bush through the sole of our feet and to be as close to nature and wildlife as possible. 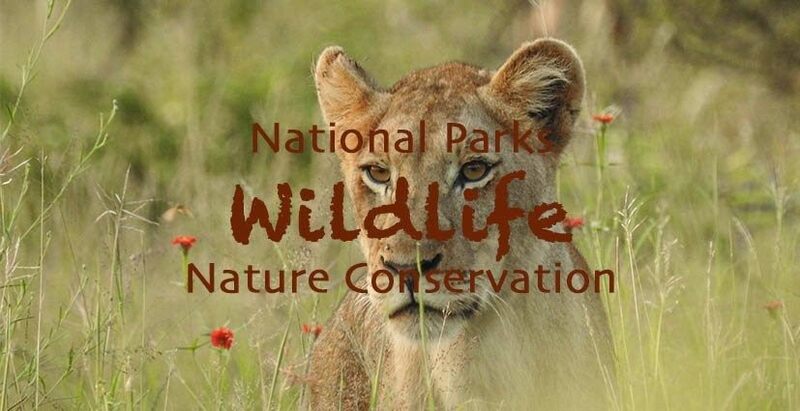 Our favorite are wildlife national park holidays. We visited all South African national parks and many parks of the bordering countries as well. Unbeatable opportunities for wildlife and landscape photography keep us going back to Africa. Meanwhile, we try to visit as many national parks in the rest of the world. As following, you’ll find our wildlife national park posts which we hope will inspire you to find your own tracks in the wild. On our travels around the world, we’d like to act as responsible travelers. Sustainable tourism is most important in the fragile environment of a wildlife national park. Often we ask ourselves if tourism benefits nature and if national park authorities take necessary measures in time and reduce the numbers of tourists before nature and wildlife suffer. We love to observe wildlife and try to see every National Park in the countries we visit. In Africa, we’ve seen stunning wildlife. National Park authorities keep nature wild and seldom there are the remains of human housing or farming left. It’s a pity that in Europe, compared with Africa, in the parks is little wildlife left. A dream would be if large wild areas in northern and eastern Europe would get repopulated with wildlife, maybe even fenced off, and no people would live within the boundaries like in Southern Africa’s National Parks. The goal of ecotourism holidays is that tourists leave only a minimal footprint at the visited destination. If any impact than only positive by contributing to social and environmental projects. A similar meaning have the expressions ethical tourism or sustainable and responsible tourism holidays. Sometimes volunteering is a good way to help protect wildlife and nature or contribute to a social goal. However, there are projects which are controversial. Ask for references before spending time and money. The Best Safari Camera For Your Travels! For more information about this and similar cameras click here. For more information about how to get more time to travel and great destinations click here.